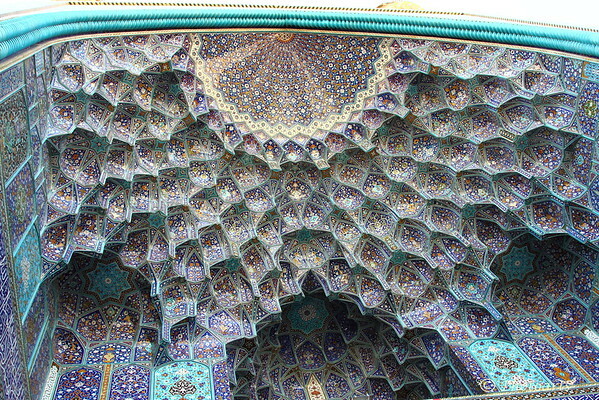 Entrance facade of Shah Mosque (now renamed Imam Mosque) in the Naqsh-e Jahan Square of Isfahan - Iran, a UNESCO world heritage site. Amazing details in the tile work built around four hundred years ago during the Safavid dynasty. Wow! Ana amazing structure; the mosaics are incredible! Wow, this is just amazing! Incredibly beautiful! Great shot.